This time it's the Ninja tenkara rod from Tenkara Tanuki (aka Luong Tam). This being a new rod, I can't endorse it, but Tanuki rods seem to have a pretty fond following by those that fish them. If you're in the market, this Kickstarter might be worth checking out. There's a ton of information on the Kickstarter page, but strangely, not a ton of specific product specs, but what I've gleaned it's an 11.5" rod that weighs 2.2 ounces. 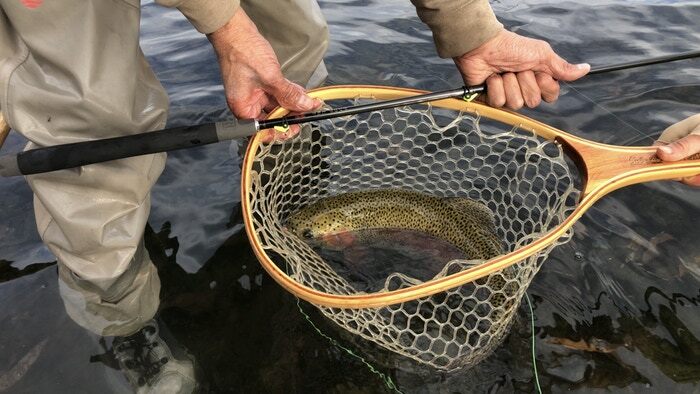 As of the time of writing this article, there was still some limited "Early Bird" pricing available at both $125 and $160 on a rod which will eventually retail for $240, so if it's of interest it's probably best to act quickly. The good news is that the Kickstarter has already reached the overall goal and is "funded," so you'll get whatever you order.